Currently viewing the tag: "odyssey networks"
Two bombs exploded during the Boston Marathon, killing at least two and injuring hundreds. “Times of tragedy are opportunities for us in the faith community to express our love and also work for nonviolent love in the world,” said Peter Hetzel, a theology professor at New York Theological Seminary. 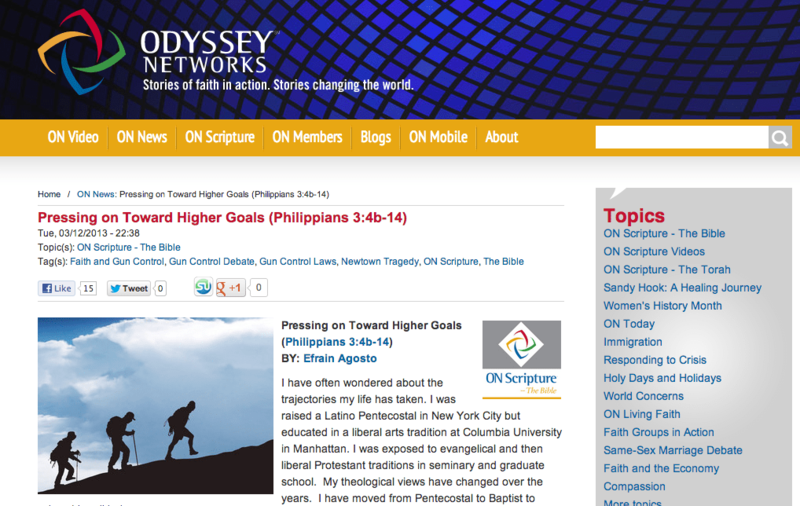 Dr. Efrain Agosto, professor New Testament Studies at New York Theological Seminary, has an article on Oddysey Networks On Scripture, a place that explores a wide range of issues from the perspective of scripture. 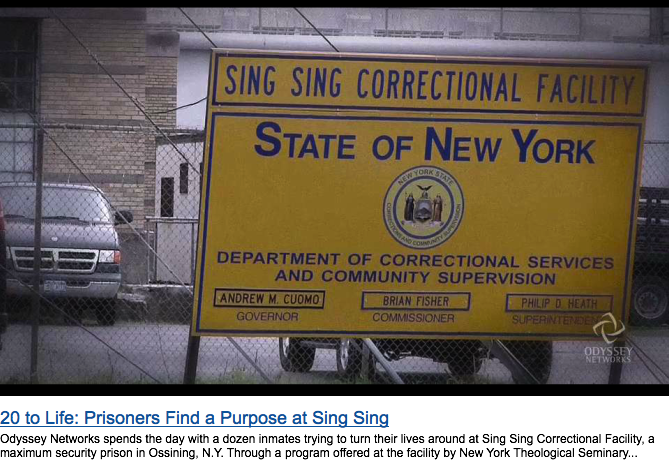 Odyssey Networks has done a short film on our NYTS Sing Sing program. The piece is up on their website, and is also on the main page of the Huffington Post religion section today!